6.8 Million activations on Christmas day! | Johns iPhone | iPhone Blog with Help, News, Tutorials, Tricks, Tips, and More! 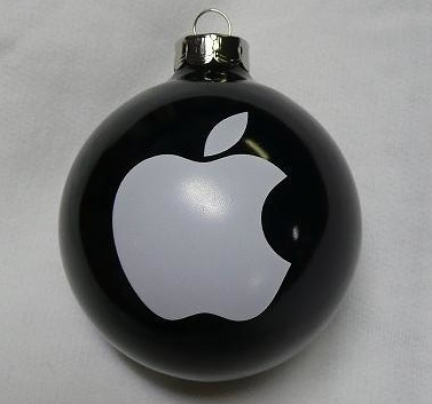 Apple reported that there was a massive influx of devices being registered on Christmas day. Some 6.8 million devices were registered and activated on Christmas day alone, which is a 353% increase over the previous weekend averages leading up to Christmas. Most of the devices were iPhones, however the iPod Touch and iPad 2 also had a very strong showing. Android devices also took a steep climb this past weekend, but nothing coming close to the kinds of numbers that Apple has been posting. The sheer number of devices being activated wasn’t the only thing that saw a steep increase over the weekend. The App Store also saw a jump, with just around 252 million apps being downloaded on Christmas day alone. While it was pretty obvious that with such a late device launch with the iPhone 4S, it would be a hot Christmas item, but those are still some huge numbers. Also the recent price drop with the iPod Touch did add to it’s popularity over the holiday. Without the need of a contract or any type of service agreements, it is a great device for the younger generation that still wants to be part of the iOS fun. I would also go as far to assume that the addition of iMessage and FaceTime to the devices made them popular gifts so that kids could text other family members or such things. There are a lot of features packed into the lower end iOS device that make it a desirable item, and it would appear that people took notice of that fact this Christmas. Whatever holiday you celebrated this year, I hope that it was a good and merry one. iOS devices all over the globe are celebrating, as are their new owners. I hope that you did the same this year.